Buy all the latest 1:18 motorsport diecast models from Diecast Legends. Minichamps 1:18 diecast model of the #94 Mahindra as driven by Felix Rosenqvist in the 2018-2019 Formula E Season 5. 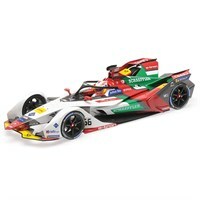 Minichamps 1:18 diecast model of the #66 Audi as driven by Daniel Abt in the 2018-2019 Formula E Season 5. 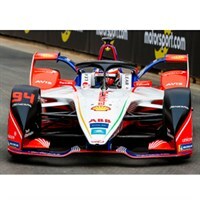 Minichamps 1:18 diecast model of the #64 Mahindra as driven by Jerome D'Ambrosia in the 2018-2019 Formula E Season 5. Minichamps 1:18 diecast model of the #48 Venturi as driven by Edoardo Mortara in the 2018-2019 Formula E Season 5. 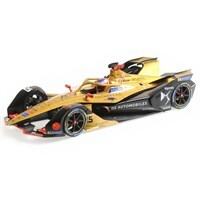 Minichamps 1:18 diecast model of the #36 Techeetah as driven by Andre Lotterer in the 2018-2019 Formula E Season 5. 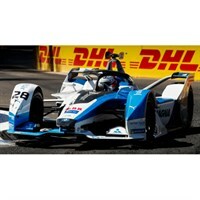 Minichamps 1:18 diecast model of the #28 BMW as driven by Alberto Felix Da Costa in the 2018-2019 Formula E Season 5. 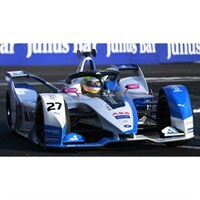 Minichamps 1:18 diecast model of the #27 BMW as driven by Alexander Sims in the 2018-2019 Formula E Season 5. 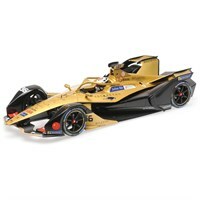 Minichamps 1:18 diecast model of the #25 Techeetah as driven by Jean-Eric Vergne in the 2018-2019 Formula E Season 5. Minichamps 1:18 diecast model of the #23 Nissan as driven by Sebastien Buemi in the 2018-2019 Formula E Season 5. 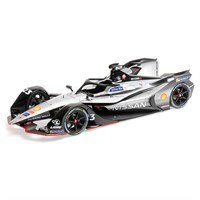 Minichamps 1:18 diecast model of the #22 Nissan as driven by Oliver Rowland in the 2018-2019 Formula E Season 5. 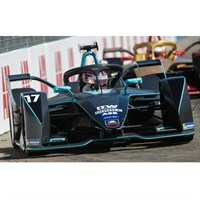 Minichamps 1:18 diecast model of the #20 Jaguar as driven by Mitch Evans in the 2018-2019 Formula E Season 5. Minichamps 1:18 diecast model of the #19 Venturi as driven by Felipe Massa in the 2018-2019 Formula E Season 5. 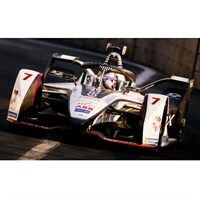 Minichamps 1:18 diecast model of the #17 HWA as driven by Gary Paffett in the 2018-2019 Formula E Season 5. 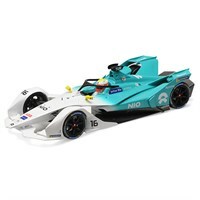 Minichamps 1:18 diecast model of the #16 Nio as driven by Oliver Turvey in the 2018-2019 Formula E Season 5. Minichamps 1:18 diecast model of the #11 Audi as driven by Lucas Di Grassi in the 2018-2019 Formula E Season 5. Minichamps 1:18 diecast model of the #8 Nio as driven by Tom Dillmann in the 2018-2019 Formula E Season 5. Minichamps 1:18 diecast model of the #7 Dragon as driven by Jose Maria Lopez in the 2018-2019 Formula E Season 5. 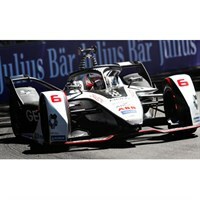 Minichamps 1:18 diecast model of the #6 Dragon as driven by Maximillian Gunther in the 2018-2019 Formula E Season 5. 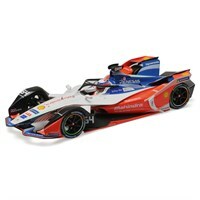 Minichamps 1:18 diecast model of the #5 HWA as driven by Stoffel Vandoorne in the 2018-2019 Formula E Season 5. Minichamps 1:18 diecast model of the #4 Virgin as driven by Robin Frijns in the 2018-2019 Formula E Season 5. Minichamps 1:18 diecast model of the #3 Jaguar as driven by Nelson Piquet Jnr in the 2018-2019 Formula E Season 5. Minichamps 1:18 diecast model of the #2 Virgin as driven by Sam Bird in the 2018-2019 Formula E Season 5. 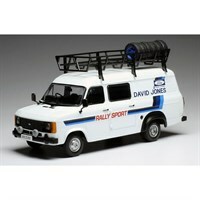 IXO 1:18 diecast model of the Ford Transit Mk.II David Sutton. 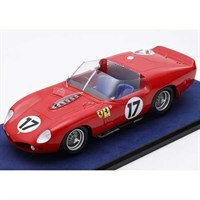 Look Smart 1:18 resin model of the #17 Ferrari 250 TRI/61 as driven by Pedro Rodriguez and Ricardo Rodriguez in the 1961 Le Mans 24 Hours.